Anonymous motorcycle goons roll up onto the scene and start wrecking house, and by “wrecking house” we mean generally just riding around and occasionally kicking a homeless person. You know, whatever the day’s job calls for. Jean-Claude Van Damme does what he does best and kicks a bad guy. 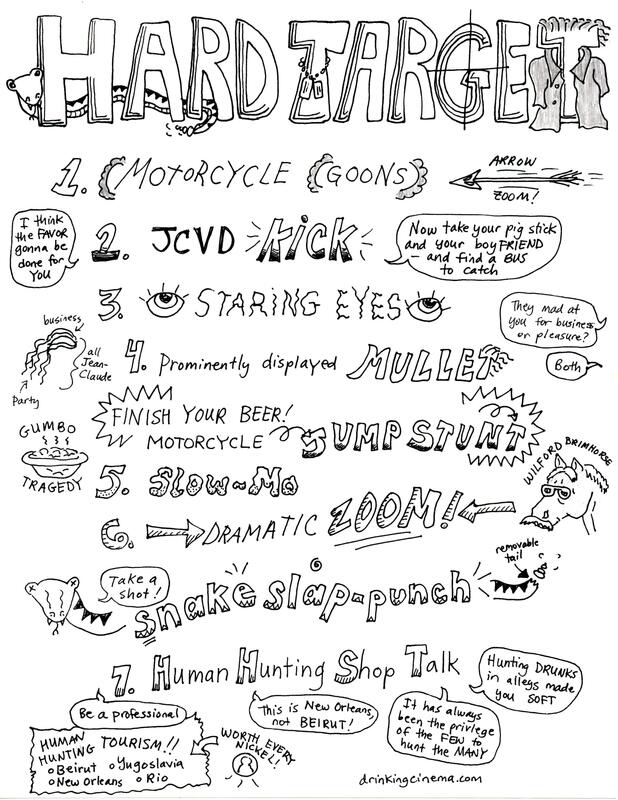 Double drink if he kicks off their sunglasses, and do a sip ‘n spin if he blasts them with a roundhouse kick. You notice someone’s (OK, mostly that chick’s) STARING, unblinking eyes. Hey, if you were hanging with the Muscles from Brussels, you’d stare too. 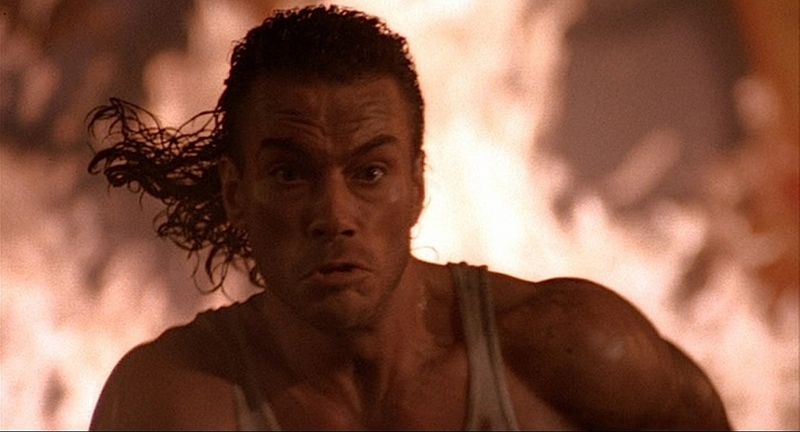 JCVD’s beautiful, silky, slick mullet is on full display. How does it stay so fresh? What kind of product is he using? Mine is frizzy by like 11am! Do you have any idea how humid it is in New Orleans?? The camera pans in for a dramatic zoom! Double-drink if this rule coincides with rule #3. Lance Henriksen & Friends hang out and talk shop about their favorite pastime, huntin’ humans. Remember, like Gary Busey always says, hunting humans is a privilege, not a right. Take a shot for the snake slap-punch! 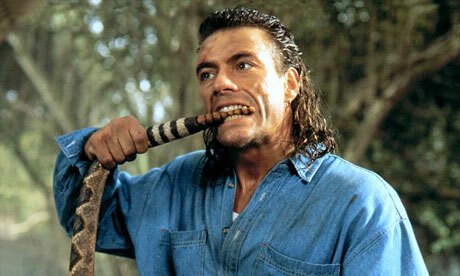 Most people would say “if you tangle with a rattlesnake, you’re gonna get bitten.” Well, the same can be said for JCVD. Maybe THIS will entice you to fix that mistake?